Florence Sara Paterno Andreatta was born in Frontier, Wyoming on June 14, 1927. She passed away peacefully on November 7, 2018 at the age of 91. A daughter of Peter and Catterina Purin Valandro Paterno. 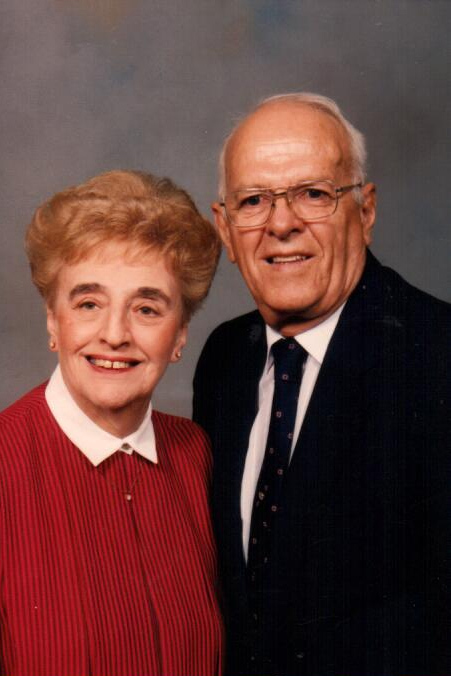 She married the love of her life Joseph Andreatta on August 22, 1953, in Kemmerer, Wyoming at St. Patrick’s Church. She has lived in Ogden for the past 65 years. Florence was a very devoted member of the Holy Family Catholic Church and former member of St. Joseph’s Catholic Church where she was a Minister of Communion – Promoter of the League of Sacred Heart. She was a member of Council of Catholic Women, and was selected Woman of the Year in 1999. She was a member of Trentini Italians of Utah and Luce Serena Lodge. She graduated from Kemmerer High School Class of 1945. She was employed at the Frontier Supply Co., Frontier, Wyoming, as a buyer and store clerk; always willing in helping others in time of need. During their retirement years Florence and Joe traveled extensively. She felt very thankful for her close relationship with Lynnette and Douglas Gilbert of Hooper, Utah. Lynnette has been the daughter they never had. She was preceded in death by her husband, her parents, and one half-brother, Joe Valandro. We want to give special thanks to Comfort Worx Hospice Care and the team at Mountain Ridge Memory Care Unit. Funeral Mass will be held on Tuesday, November 20, 2018 at 10 a.m. Holy Family Catholic Church, 1100 E 5550 S., South Ogden. Friends may visit with family on Monday from 6 to 8 p.m. with Vigil Service at 7 p.m. at Lindquist's Ogden Mortuary, 3408 Washington Blvd. Interment, Lindquist’s Washington Heights Memorial Park, 4500 Washington Blvd. In lieu of flowers, donations may be made to the Building Fund at Holy Family Church.